Teak wood has become our choice as main material of all of ou chess products, include; chess pieces, chess table, chess board, checker pieces, and many more. By using this strongest wood, we can present you durable chess product for indoor and outdoor use in any seasons. 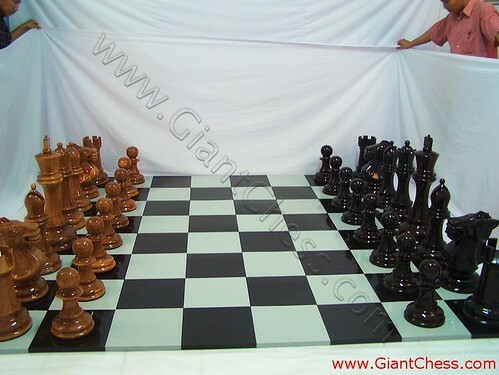 So that, if you want to having chess game at your garden or beach, you allow to do it using our chess product. Just in the picture above. Those are our chess pieces product that carved from best Teak wood by our expert craftsman. Those chess pieces have designed in big size, so you can apply it for outdoor game. Those pieces have completed with their board which also made of Teak wood material. By the chess pieces and board, your outdoor game can start.